This vintage jacket was made in Germany in the late 1950s-early 1960s. It is a classically German double breasted cut, with a wide collar and concentric stitching on the shoulders and elbows. The bottom portion of the jacket is quilted. There is a zipped breast pocket, partially under the lapel, as well as zippers on the sleeves and at the side vents, where there would be laces on an American made jacket. 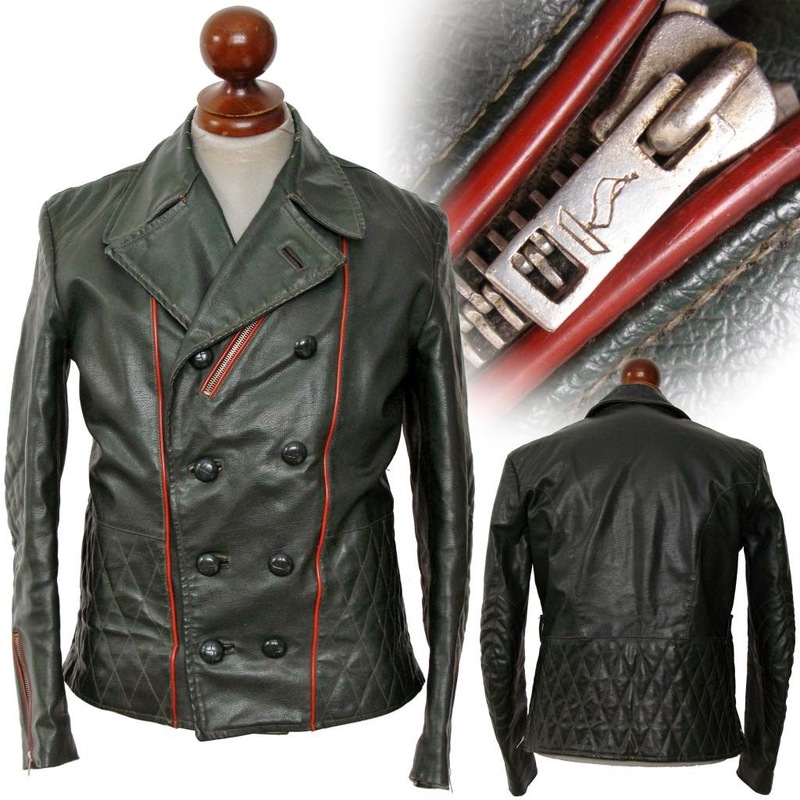 The jacket appears to be made from an imitation leather product from its stamped grain pattern. The jacket is lined in a heavy moleskin, and there are two interior pockets. The zippers are all marked with sailboats. 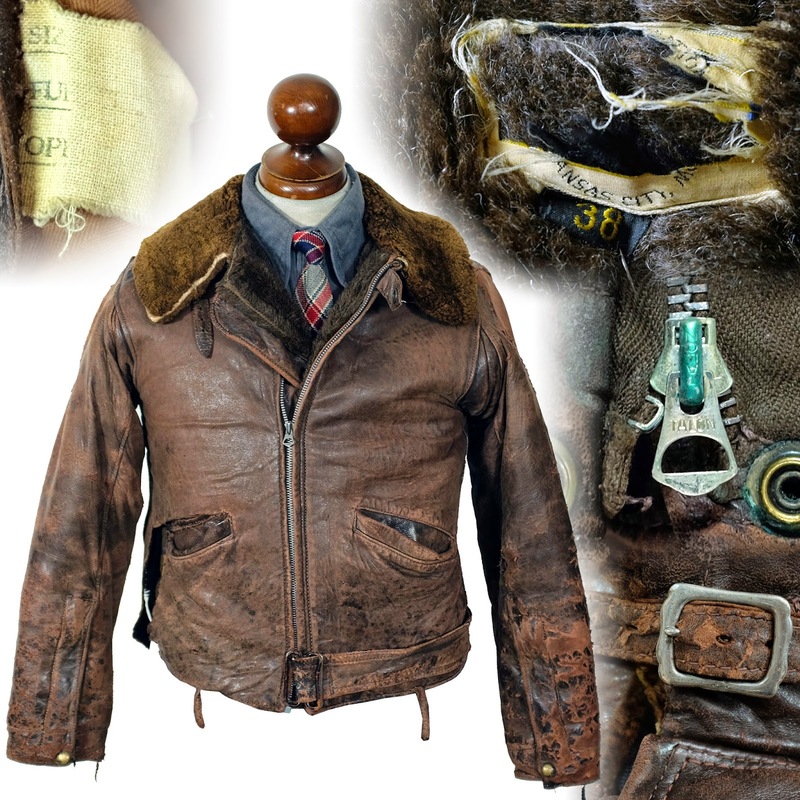 The inside of the jacket is embossed with the maker's name, VEB, Freiberger Leder Bekleidung, which translates to Freiberger motorcycle leathers. "VEB, Freiberger Leder Bekleidung, which translates to Freiberger motorcycle leathers!"